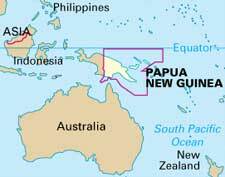 Papua New Guinea, authentically the “Independent State of Papua New Guinea” is an islands country that occupies the Eastern part “New Guinea” island and some of the offshore islands in Melanesia region. The country is one of the most culturally diverse countries and is known for luxury beaches, volcanic mountains, forests, hiking trails, dense forests, native tribes, and traditions. Majority of the country’s population still lives in rural areas. Upon due research and dating, archeologists estimate that human history on the islands dates back to approx. 45,000 years ago. It is also estimated that those people may have migrated from Africa. Farming was started in the region as early as 7000 BC. Europeans explorers and trader were well aware of the island from the 16th century, but no colonization came till the 19th century when it was occupied by British, German and Dutch forces. After Germany was defeated in World War 1, the island was annexed by Australia. As World War 2 broke out, the islands of Papua New Guinea saw some crucial battles between the Japanese and Allied forces in which thousands of servicemen died. The country finally gained its independence in 1975. The economy of the country is ranked as “underdeveloped” and is mostly dependent on agriculture, forestry, fishing, and tourism. In addition, the country has also rich deposits of mineral resources. Tourism also brings huge revenue due to exotic features of the country. Coffee, cocoa, oil, sugar, tea, etc. are the main agricultural products of the country. 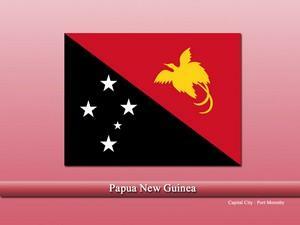 Papua New Guinea is one of the most ethnically diverse countries in the world. There are hundreds of ethnic groups living in the country with over 852 languages being spoken. 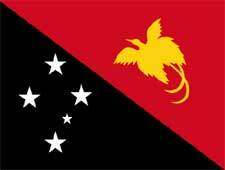 English, Papua New Guinean Sign Language, Tok Pisin, and Hiri Motu are the official declared languages of the country. Similarly, religion in the country is also diversified and some of the major religions include Protestants, Roman Catholics, Evangelical Lutheran Church of Papua New Guinea, etc. Can we believe in vastu?